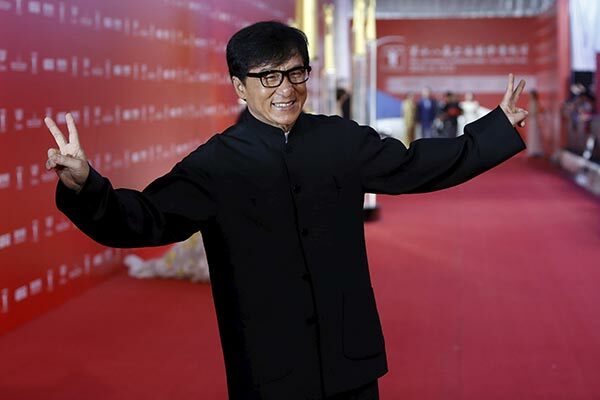 China's action superstar Jackie Chanmade it to this year's Forbes highest paid celebrities list. At 38th position, Chan is the world's second highest paid actor, pocketing $50 million in pre-tax earnings, second only to American actor Robert Downey Jr. who made $80 million at 8th spot. Chan is also the only Chinese figure among world's top 100 moneymakers this year. The 61-year-old actor has gradually withdrawn himself from jumping between building tops and riding down hanging wires in recent years. He hasn't starred in an American live action hit in five years. Even in his Chinese productions, he has reduced his workload and physically demanding scenes. This didn't seem to affect his income. His latest work Dragon Blade, also starring Adrien Brodyand John Cusack, grossed $120 million. According to Forbes, it is likely that Chan made more than $10 million from the film. Besides acting, Chan is also good at branding and marketing. As the second best-known martial artist since the legendary Bruce Lee, it is not difficult to imagine the volume (and the price tags attached to) Chan-branded merchandises. The traditional Chinese styleshirt that Chan is often seen wearing in public appearances is just one of the goods Chan sells. On top of this, he is also owns a Segway (a two-wheeled electronic vehicle) dealership and a chain of cinemas that bear his name. Chan also launched his first ever film and television academy in late May. Forbes estimated Chan's net worth at $350 million, a figure the star and his team declined to comment on.